I attended my first regional North West Doula meeting on October. Very often when a course is completed you find yourself in the wilderness wondering what’s next and where do I go from here. All too often there is no further support and all that enthusiasm and knowledge can start to fade if there is nowhere constructive and productive for it to be utilised. So I was very much looking forward to my first regional meeting and teaming up with people I knew from the various training groups and also new people who were further down the road or just starting off. I was not disappointed and in my enthusiasm found myself volunteering to take the minutes for the meeting, a new role and challenge for me which the group kindly told me I had passed with flying colours! Informally formal we shared ideas and things we had been doing. There was a huge inspiring encouraging array of work people had been embarking upon. 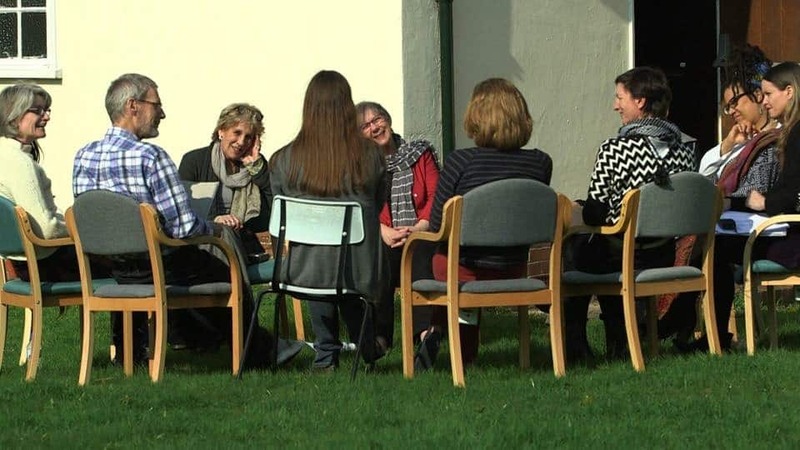 One of the group had been doing pioneering work in a hospital as an End of Life Doula and shared her beautiful experience with the group including the appreciation of one family she had come into contact with. This was a first for the Living Well Dying Well Doula movement and one that we all felt very proud of and very proud of the lady who is achieving this incredible work. Another had found out the staff at her children’s school had no training at all in bereavement. She discovered through research that the charity Child Bereavement do an online course at a cost and managed to get funding from her local Tesco’s to enable her children’s school to put all staff members through the training. The main content is about having some tools to be able to hold a simple conversation with a child who has had or is going through bereavement. When she spoke to the Child Bereavement charity they agreed that all seven schools in her local area can do the course for the cost of one course. Wow just wow. What an incredible achievement. From tiny acorns grow mighty trees. Another member has been contacting homeless charities in her city to inform them of the role of an End of Life Doula and how they can support anybody in need. One of the member’s local hospices runs short workshops for primary schools in the area inviting them into the hospice to take part in activities, meet patients who are happy to talk to the children about life limiting illnesses. They meet the staff, use wheelchairs, and are shown how to use hoists and have questions and answer sessions. The feedback from the children and their parents is incredible. They really enjoy it and it helps to break down barriers about talking about death and dying. Parents have also feedback that it has helped them start difficult conversations about children’s ailing grandparents. Several members including myself are volunteering in hospices and hospitals which we are finding richly rewarding. Members are sharing information on setting up death cafes and some are actively doing this already with one member doing it from her own home. Another is volunteering with a local funeral director. The chaplaincy at a Liverpool hospital is benefitting from the voluntary services of another one of our group. All of this shared information is so inspiring as all the members are Doulas in Training and the movement is growing organically through community work and word of mouth. People are starting to hear the words End of Life Doula and asking what is a Doula. Society is changing and there are huge changes both within and outside of the medical profession of how we can do “Death better” How can we have difficult conversations and how can we ensure people have some choices about their own death. Our next meeting will be taken place in January and I for one am very exited.